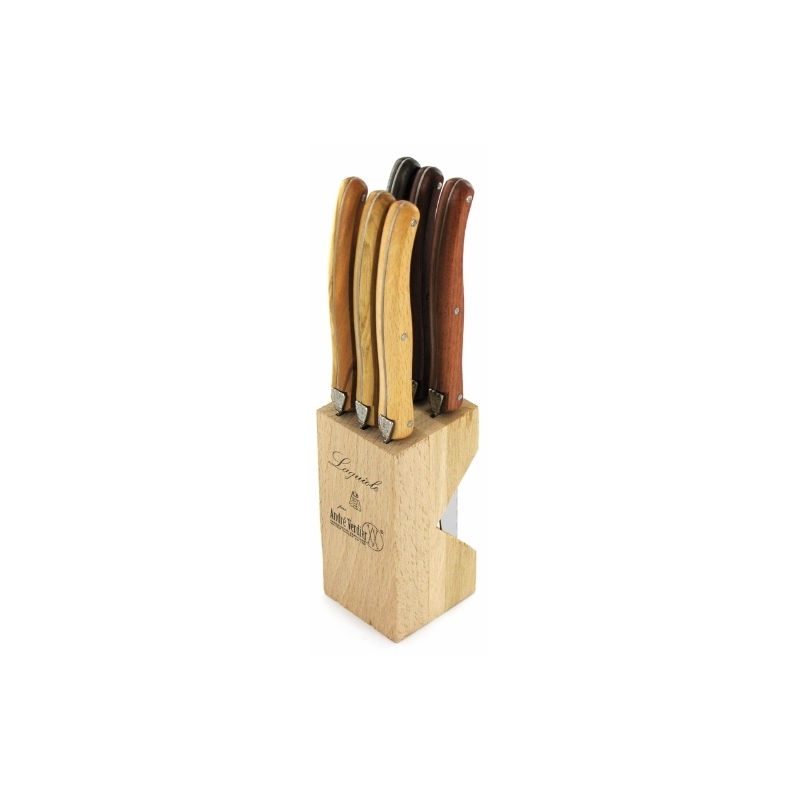 André Verdier's stylish and super sharp Country steak knives are perfect everyday knives. 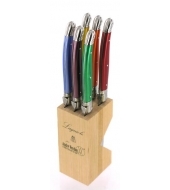 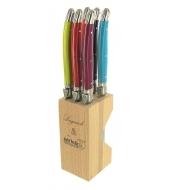 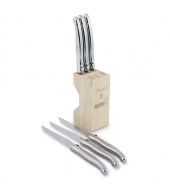 The package contains 6 laguiole steak knives with serrated blades in practical wooden block. 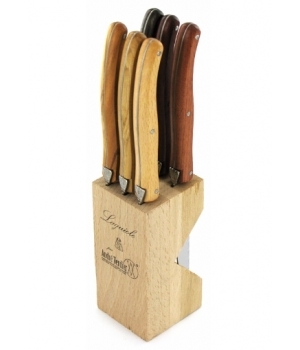 The knives' handles are made of natural wood in a mix of: olive, oak, beech, wenge, paduk and bubinga.